Sturdy polyethylene cooler won't drip or spill while being carried. Tight-seal screw-top lid. Extra-thick insulation keeps beverages icy cold for hours. Easy-to-clean liner. Swing-top bail handle for easy carrying. 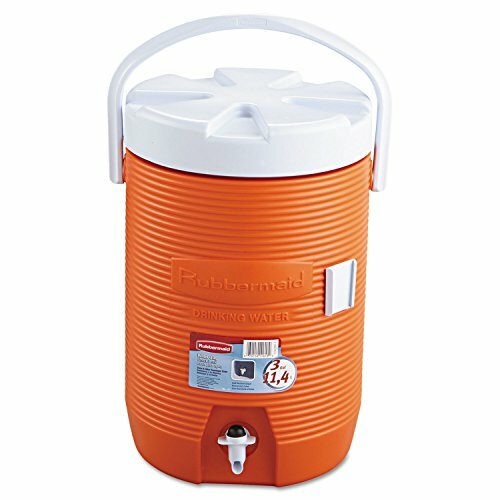 Capacity (Volume): 3 gal; Material(s): Polyethylene; Color(s): Orange; Diameter: 12 1/2 in.